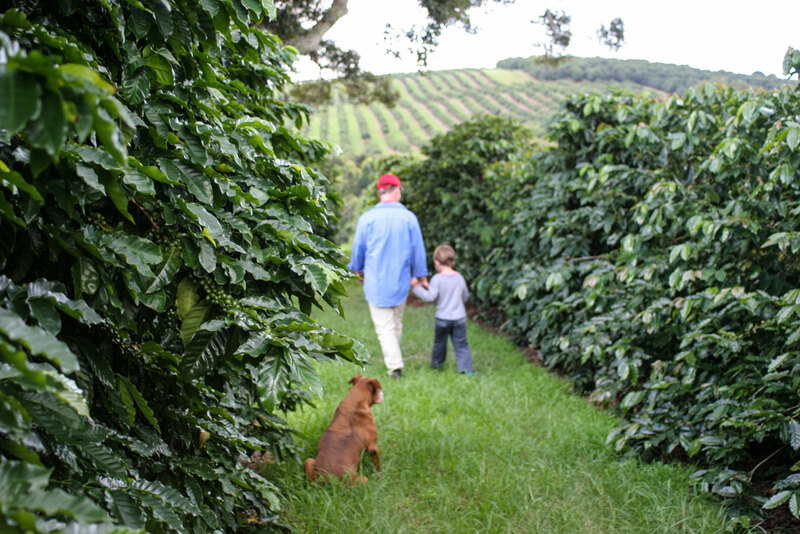 Scenic Views of Zentveld’s coffee plantation include rolling hills of perfectly manicured coffee plants. Photo courtesy of Zentveld’s Coffee. More so recognized for its wine, hearty Aussie brunches, and coffee consumption, Australia is not a nation one immediately thinks of when it comes to coffee production. 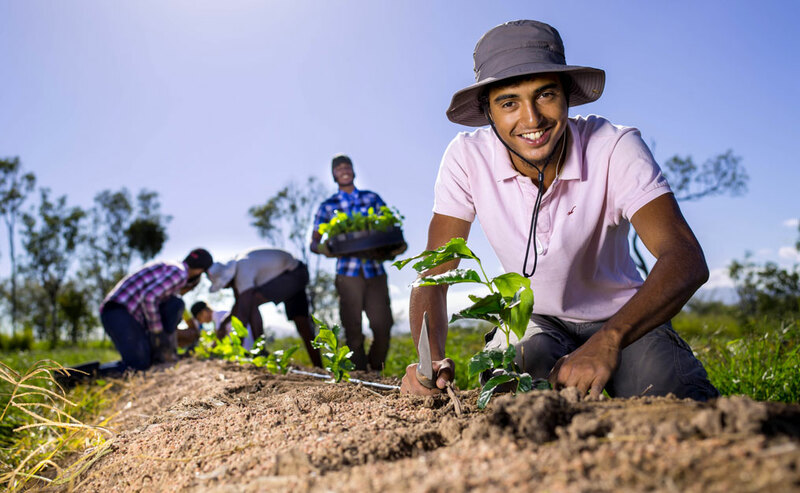 But a few farmers are not shying away from utilizing the land in hope of one day matching the likes of Africa and Central America. 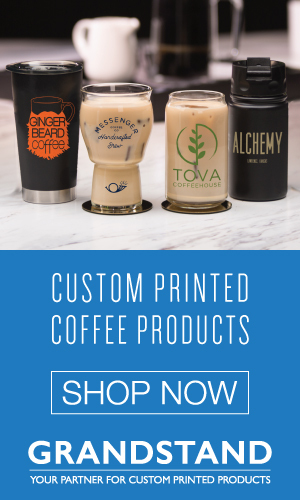 When it comes to coffee consumption, Australians drink an average of 16.3 million cups of coffee per day, according to the Australian Bureau of Statistics. 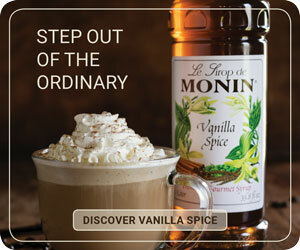 But only one percent of locals will even taste Australian coffee. Established in 1993, Zentveld’s, operated by Rebecca and John Zentveld, is based in Newrybar, minutes away from the sunny beaches of Byron Bay in New South Wales. 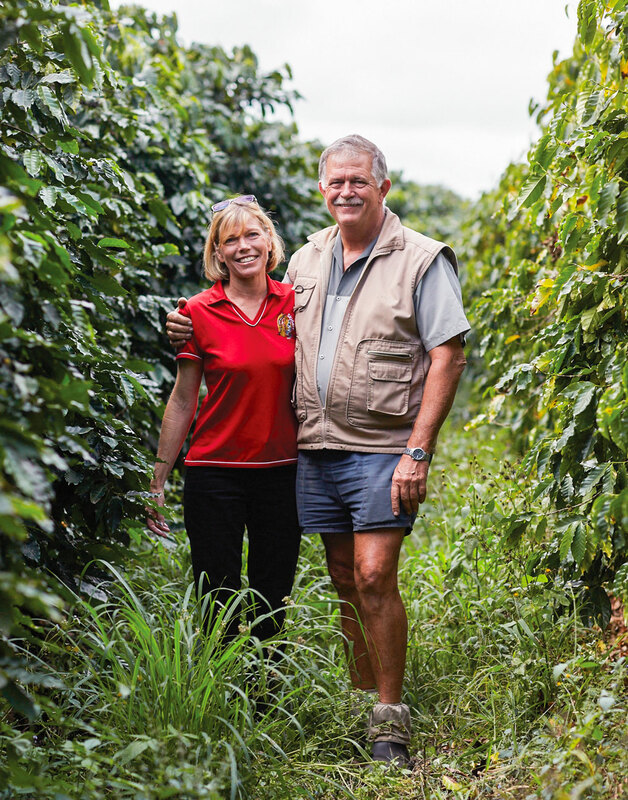 John and Rebecca Zentveld on their coffee plantation near Newrybar, New South Wales. Despite having more than 35 Australian subtropical coffee growers between Noosa and Coffs Harbour, who produce up to 600 tons of dry green beans a year from 850,000 trees, Zentveld says one of the major challenges continuing to stump the Australian coffee industry is the loss of arable land to real estate. Farmers have been tempted to sell out, owners from cities not interested in farming are pulling out trees, and across “the most viable food productive lands in Australia, we are replacing food farming with growing houses instead,” explains Zentveld. “It is a concern of mine—the replacement of food-growing to house-growing on some of our best food land in Australia,” she adds. Since there are only a few pockets of suitable terroir and microclimate land available across northern NSW and Queensland, this is proving to be a major setback for an industry that wants to expand, grow, and export. Photo courtesy of Zentveld’s Coffee. Labor costs are another issue, as Australia is a wealthier nation compared to other coffee lands. “Our labor and economic conditions set a much higher profitable benchmark for any grower or landowner considering growing coffee or any other food for that matter,” says Zentveld. Zentveld adds that nearly all the country’s growers are individual family owned and operated. “In the early days, overcoming data-free observations was a big hurdle and comments such as, ‘Coffee must have shade to produce high-quality coffee’ and ‘Hand-picked coffee is better quality than machine-harvested coffee,’ along with, ‘High altitude is required to grow the best quality coffee,’ provided challenges for the early research efforts in the subtropics in the 1980s and 1990s. The process of growing coffee is very similar to that of wine, and with Australia’s naturally cooler climate allowing for a longer ripening season of 10 months or more, there is a strong chance of the nation developing its coffee growing possibilities. Candy MacLaughlin, general manager at Skybury Coffee in Queensland, says Australia produces a small quantity of coffee and continues to produce small yields compared to the rest of the world because it’s seen as a rare commodity. “At the beginning [the biggest challenge] was breaking into new markets, particularly on the international market for the green coffee,” she says. MacLaughlin’s parents bought Skybury about 30 years ago, without much previous knowledge about coffee or farming. This venture turned into a lifelong passion, with the plantation now multifaceted with red papaya crop, a roastery, a dedicated research lab, and a tissue culture facility, as well as a visitor/tourist information center and a café. Candy and Ian MacLaughlin at Skybury’s plantation in North Queensland. 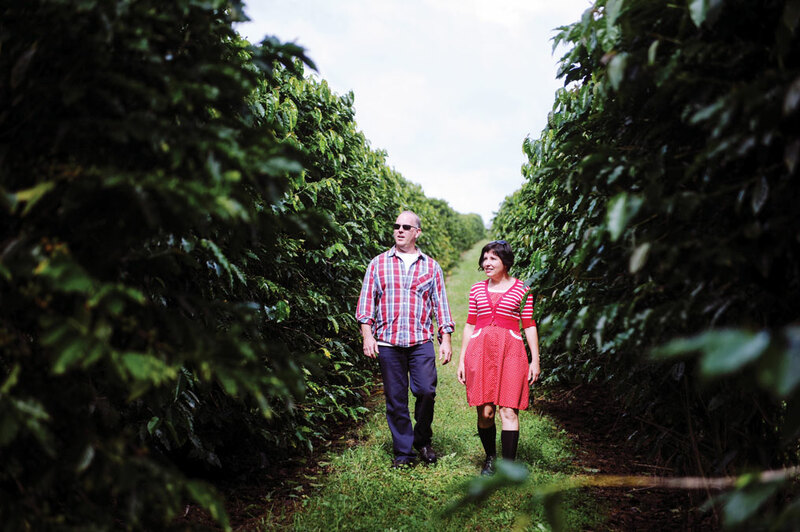 Before venturing into coffee roasting 12 years ago, the MacLaughlins were green coffee producers only. Now Skybury coffee is “well recognized and sought after [in the international market] with many brokers purchasing in advance of the coming harvest,” she says. However, it’s the domestic market that is the main challenge, as it’s much slower due to competition, cost, infrastructure, and education. “It’s still a niche product,” says MacLaughlin. “New South Wales has the capacity to produce coffee, but we haven’t had more than two to three new coffee farms in the past ten years and not all of them have come to production. 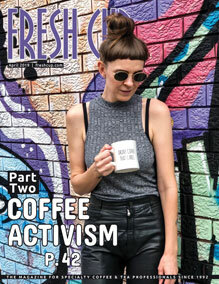 Australian coffee remains to be part of the “boutique industry” because it’s a non-essential item, MacLaughlin explains, with people able to go without it if they have to or take a cheaper option. “There are some amazing international coffees, so we also have to be realistic and keep on our game to ensure that we are offering the best possible coffee,” she says. The other challenge is the consumer, with many more concerned about whether the coffee is freshly roasted rather than where it comes from. Although the interest is definitely there, it all comes down to whether consumers want to spend money on Australian coffee over and beyond what they might have to for international coffee. Planting Coffee at Skybury. Photo by Saad Ghazuoaline. 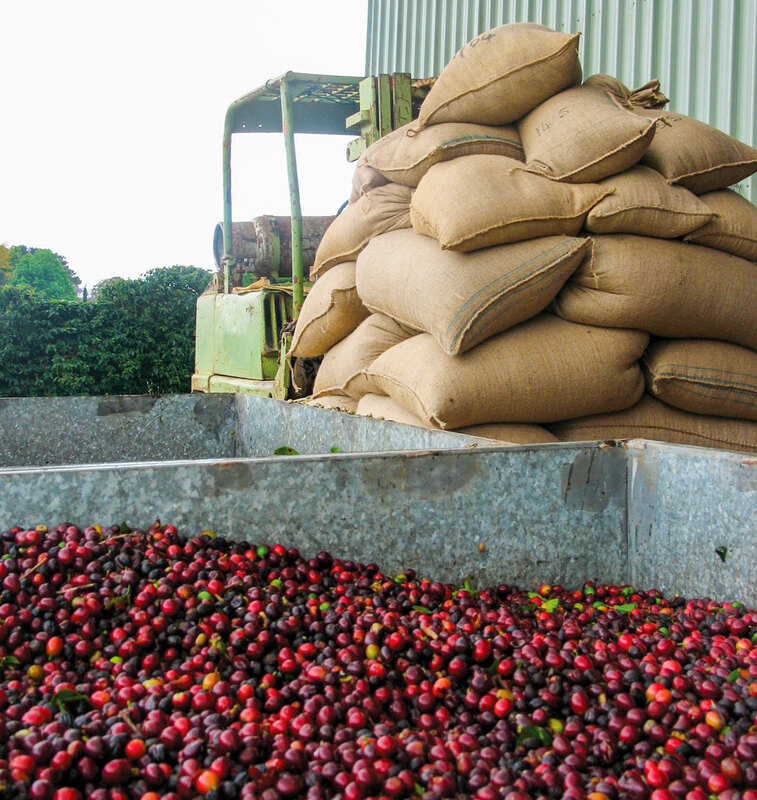 For the next few years, Skybury’s goals are to continue growing internationally and domestically, to build a reputation as being a great coffee producer, and to keep improving farming techniques, which will in turn improve quality and taste. 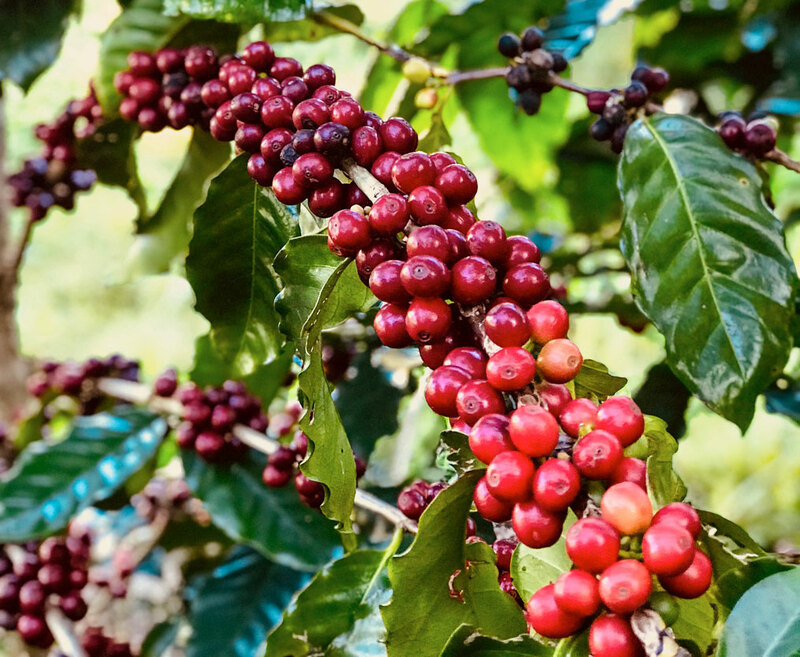 One sign that Australia is positioning itself as a coffee-producing nation is its involvement in a World Coffee Research (WCR) multi-varietal trial to test new hybrid varietals, also known as the F1 hybrids. “By 2050, a majority of current coffee-growing countries will no longer be viable to produce the volume or potentially the quality of coffee they did due to the effects of climate change,” says Baker. 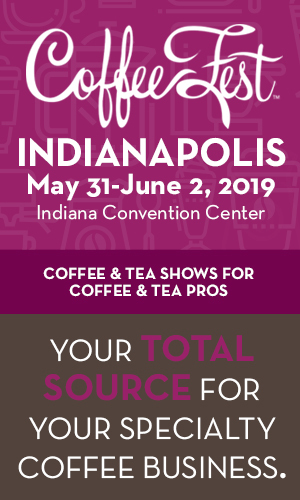 Greg Meenahan of WCR confirms that the global industry will experience a shortfall of 182 million bags of coffee by 2050. In response, WCR is conducting an international multi-location coffee variety trial, where 35 coffee types across 23 countries are tested to measure the performance in different climates, including Australia. Photo courtesy of Skybury Coffee. Scientists at Sydney’s Southern Cross University are testing 20 climate-resistant varieties, which, once accessible to the market, will have a tremendous impact. Sydney-based Single O has become the first roaster in Australia to import a full container of these climate-resilient coffees, featuring the F1 hybrid, Starmaya. This is a high-yielding, rust-resistant variety that can be grown at multiple altitudes. Other climate-resistant varietals also available are Marsellesa and Centroamericano. 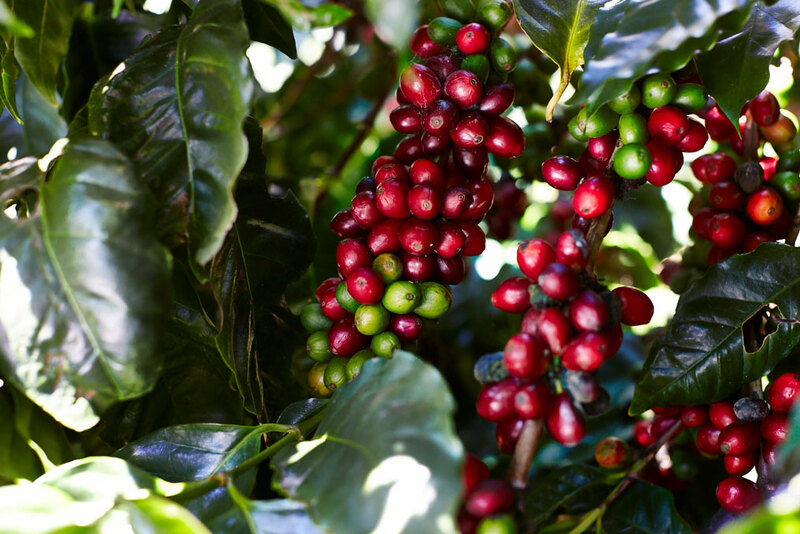 These F1 hybrids are created through a coffee-breeding process where researchers utilize the coffee plant’s DNA to help select which varieties to keep and which ones to let go. Once the varieties become readily available for the market, this will mean production security, less vulnerability, and improved quality. Evidently, the supply and demand of coffee will continue growing, and with Australia’s cooler climate, passion for the product, and sustainable growing ethic, who knows? Australia just might step it up and contribute to the world’s constant demand for coffee.